This past weekend I broke out the new bugs and started putting them together. With both kits, I decided that I wanted to magnetize them as much as possible, in part so I don't have to make a decision on my list before painting the models. I jumped back and forth between an Exocrine/Haruspex kit and the Harpy/Crone kit as I ran into problems or concerns, allowing myself some time to think about a potential problem and not just going gung ho on an $80 kit. A couple weekends ago, three-quarters of the Blog got together in Richmond, VA. It was an incredible time that was filled with a lot of excitement, a lot of anticipation, and some incredible games. Now I would like to say that it was great to meet Rob Baer of Forge the Narrative, Spikey Bits, and For The Win Games. He was out, talking to us, mainly Evan, and just talking to us about some of his thoughts on the Tyranid Codex. Next guy we met was Kenny Boucher of Forge the Narrative and owner / operator of Next Level Painting. He was joking, talking to us about all things 40k, and was awesome to joke around with. It was an awesome weekend where the blog met some very influential guys that have had an impact on not only our blog, but also on some other ideas coming down the pipe. As a blog with three Tyranid addicts, we of course had to pick up the first of the three dataslates to supplement the army. 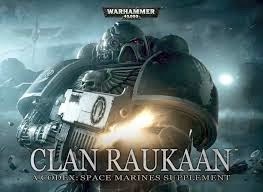 As Black Library released earlier in the week, in addition to the fluff (which I haven't read yet, but I'm looking forward to), there are five formations to be added to the army. So as I was in Google Hangouts with the rest of the FTGT crew we started talking about resolutions and each of us doing a 2014 post. Immediately I got excited about all the things I was going to accomplish in the hobby this year, the fact that I was going to post to the blog more often, and become a better play/hobbyist. Do I get credit for adding a caption to a blank picture that already has a caption? After winning Game 2, I was faced up against Adam and his Farsight Enclaves with Tau Allies to finish the day. The mission was The Relic Primary (4pts), Big Guns Never Tire secondary (3pts), with Vanguard deployment. What's up everyone? 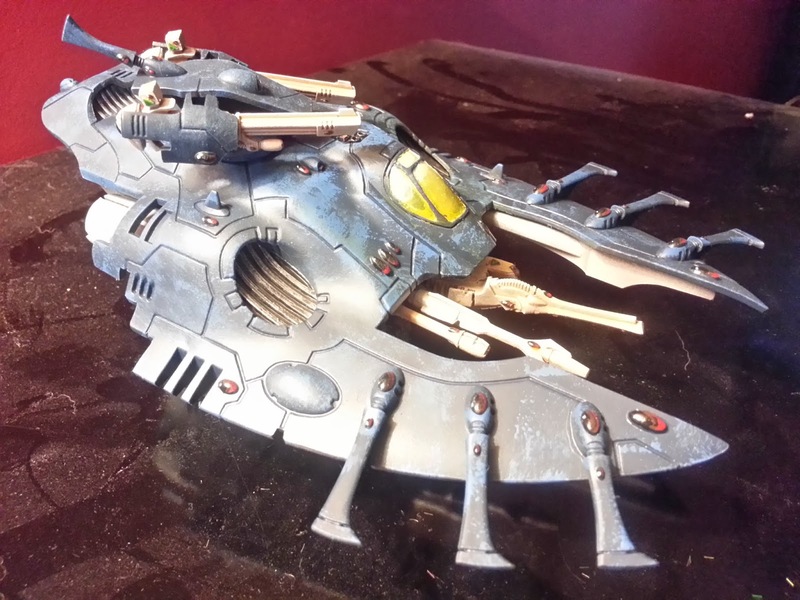 The Boys of the Grey Tide got together recently to throw a little podcast together to go along with the blog. The first podcast is everything Nids. Going forward we will be doing everything, from list building to codex review to what is happening with our Grey Tides. I hope you all enjoy the first Podcast, and hopefully this won't be the last. 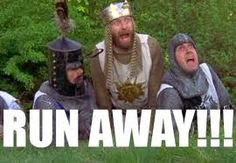 Also, you are on the ground floor as we go forward working out the technical difficulties and making it better overall. 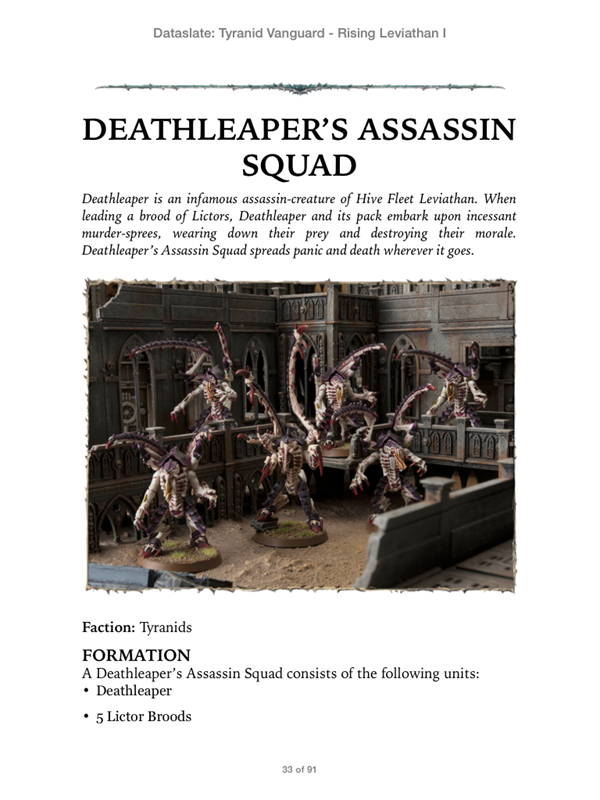 This list I am about to share started mostly as a lark, goofing around with what you could do with the Deathleaper formation that can be seen in the previews of the Tyranid Vanguard Supplement. 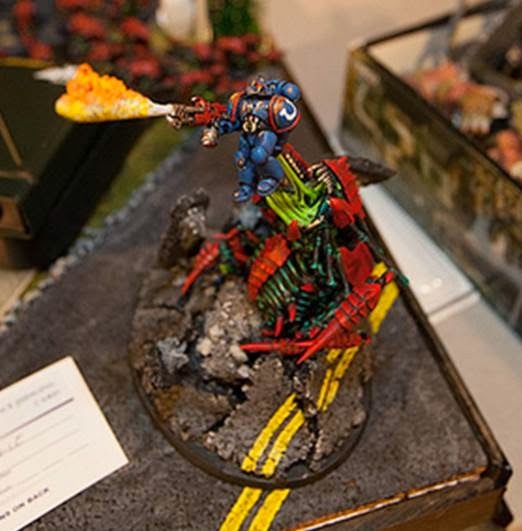 Last weekend I had the pleasure of attending the SCARAB GT in Columbia, SC. I found out about the event through Neil and The 11th Company Podcast. It was a little bit of a drive, but nothing unfeasible. I made it to the hotel a little before midnight and did some finishing touches on the bases of my airbrushed Flyrant and Tervigon. First thing Saturday morning I headed down to the convention center and unpacked. I had the pleasure of attending the SCARAB GT this past weekend. It was about the same distance drive as NOVA for me, and I'm really glad I decided to make the trip. I brought my Tyranids, partly in the hope that I would be the only one to do so and get best in Codex (which went to Cory, who has an awesome Doom he sculpted from scratch). Cory's Intimidating Doom ready for his last hurrah. While thinking about the new Tyranid Codex (which is most of the time, this week), a theory occurred to me why there might be so much hate in the community for the new book. At this point I'm generally dismissing the claims that is a terribad book and the worst of the 6th edition codices. 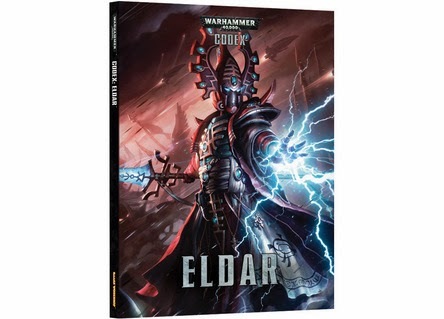 I will accept that it's not going to unseat Eldar and Tau as the big power codices. My theory revolves around perceived power before and after a 6th edition codex. Namely, that the successful codices in 6th, particularly Tau, Eldar, and Space Marines, were generally received well because before the codex, they were not a competitive option in 6th Edition. After reading Nick Nanavati's post on Torrent of Fire this morning, I've been thinking about some of the points he raised and how I might use his list as a blueprint for a list that fits what I think would work for me. Namely, using hive commander in combination with a Comms Relay and Mawlocs to overcome the general lack of speed in the current Tyranids Codex. Hey guys, Ron here with my first section review on the new Nid Codex. Today I am reviewing one of those parts that is receiving a lot of negative attention - Instinctive behavior. Just how bad is it? How much synapse is enough to counter it? Will it really make your entire army flee off the table or kill itself? 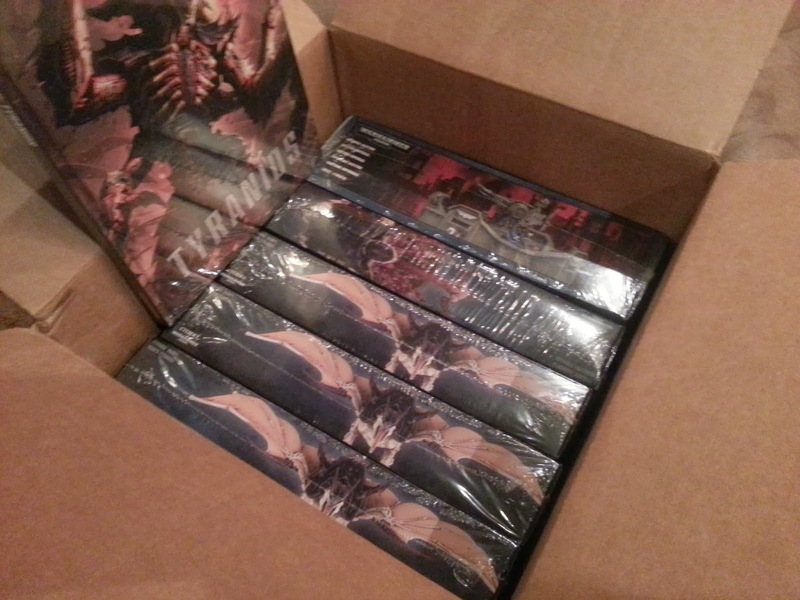 Did I really just walk into a game store and spend my rent money to buy more Tyranids? Stay tuned after the jump for FTGT's take. Like most Tyranid players, I was not happy about losing access to the Big Rule Book powers, particularly Biomancy (even though I knew it was coming). Initially, I was very disappointed to see what I perceived as a very weak selection of psychic powers. But after spending some time considering their in-game use, I've come around a bit. As I mentioned in my second review this morning, any list I build will be wildly in flux for the next couple months, particularly as my actual play-testing time is rare. After mentioning it as a goof, I couldn't help but try to create a list using a bastion to anchor the line. 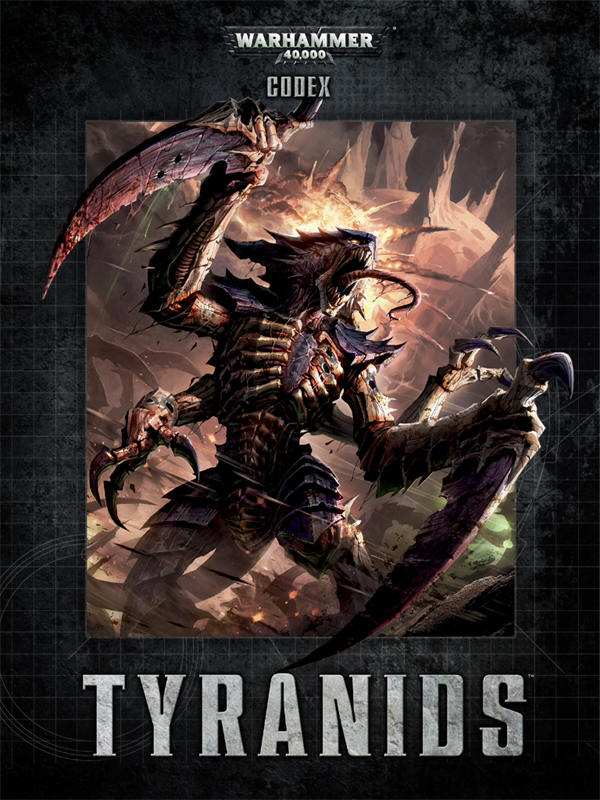 The Tyranid Codex has now been out for a couple days, and we've had some time to actually read it and think about it and list build. And while I began a little doom and gloom, I am coming around. This is a brand new book - what used to work will not work anymore. That's what we asked for, even though on release we were looking for the same old build to just get better, if we're being honest with ourselves. At this point, I am confident the power level is still there. Will it unseat Eldar as the tournament kings? Or even Tau and all their allied variations? Probably not. 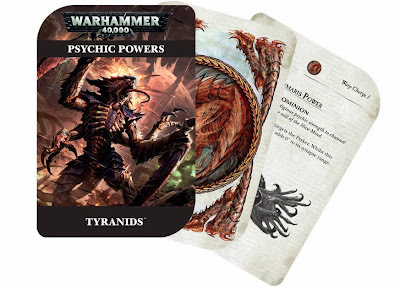 But despite the moaning and groaning that Tyranids will be the weakest 6th edition codex, I don't think that will be the case - I think they will still compete with Daemons and struggle against powerful Eldar and Tau builds, but do well against most of the rest of the field. So with this release, most of us on the blog were really looking forward to it. However, as more things leaked, we became and more concerned with what we were seeing. I did my best to reserve judgement until I actually saw the codex in its entirety. That said, I knew the couple things I was looking for, so here's my first impressions. 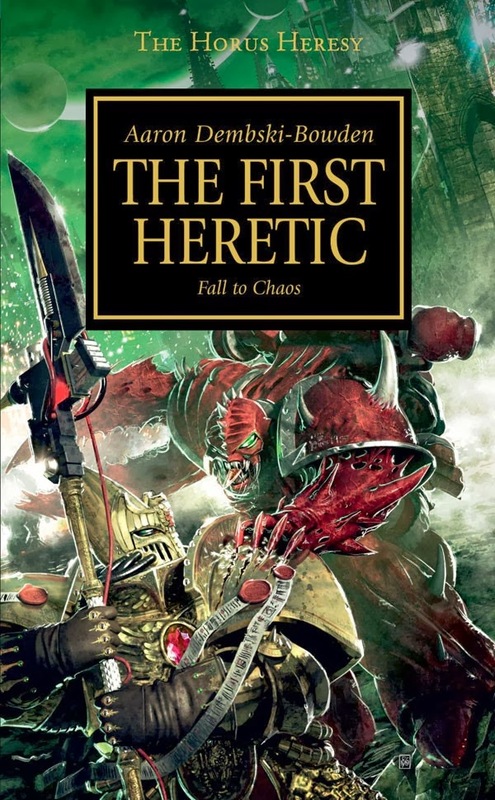 The first entry in the Horus Heresy from Aaron Dembski-Bowden is the story of the architects of the Horus Heresy: the Word Bearer Legion. 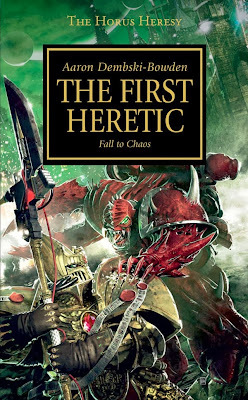 Continuing the Horus Heresy Review Series, this novel gets back to some of the main action of the Heresy. As with the recent reviews, following the jump, there will be spoilers. Last weekend was the monthly 1k tournament at my LGS. A while back I made a deal with myself that I wouldn't field an army that wasn't fully painted. 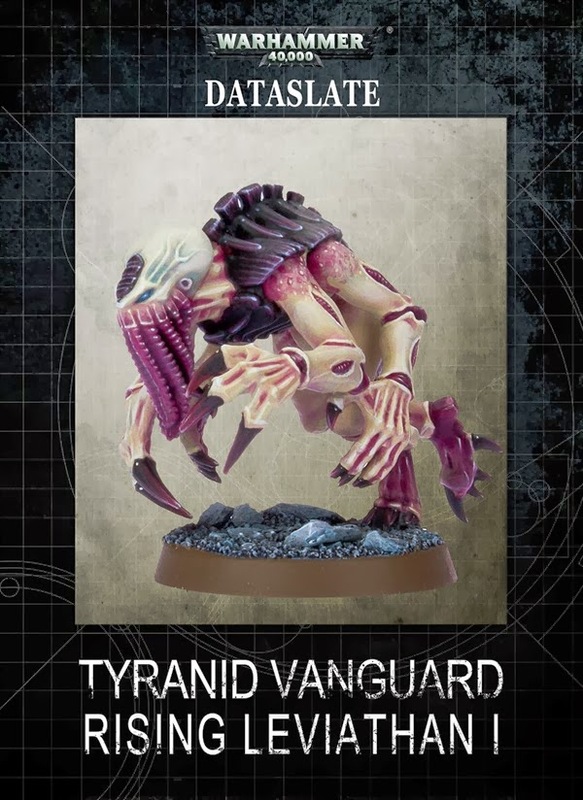 Right now that would essentially stick me with my Tyranids. That said, I'm planning on playing my Tyranids pretty heavily over the next two weeks at our gaming weekend and then the SCARAB GT, and I was hoping for a quick break. Hi All. I thought I would put together a 2014 Resolutions list for my goals as a hobbyist in the next year. I've also suggested the other guys do it so I don't look quite so egocentric. The goal of setting up resolutions like this is to create a set of goals I can track myself on throughout the year. This goes back to what I did with my NOVA prep posts last summer. Hopefully some of you will like the method and adopt something similar. 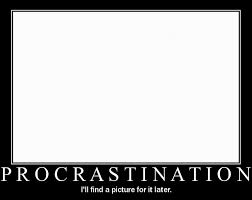 Or maybe you are awesome and already achieve your hobby goals without need for lists. But I like them.